Ensure students are on task with thumbnail images and activity tracking. Students need DyKnow's classroom management tool on their Chromebooks, PCs, iPads and Macbooks. "DyKnow - Prevent problems before they happen"
One of my favorite DyKnow features is the ability to look at what my students are doing in class over a period of time. This tool is very useful when I have conferences with parents because I can show them what their child is doing in my class and how it is affecting their grades. It is a great tool to help back me up. Sometimes the software fails to load on my students chrome devices which means that I need to have them restart the system. From an administrative standpoint I would also like for it to be easier to add students to classes during the school year without needing .csv files. DyKnow does have its limitations and blocking plans must be set up carefully in order to avoid potential problems. Students also tend to look poorly upon the software since it restricts their internet privileges so it is best introduced from the beginning and utilized primarily as an instructive tool as opposed to a punishment. DyKnow allows us to monitor how our students are using the internet and what sites may need to be blocked at the firewall level in order to increase our security. DyKnow also helps us to increase our teacher's instruction time so that they are able to cover content more quickly and thereby gain time for new materials to give our students every advantage in their education. "Best Monitoring Program for Chromebooks!" DyKnow allows our teachers to view students' Chromebook screens from one dashboard, websites they visit (in real-time), send messages to students (private or class-wide), ask a question & poll answers, students' level of understanding...without students raising their hands and getting embarrassed if they are completely lost and last but not least, set up blocking plans to lock down tabs so students can just click open a new tab and "Google" the answer! WE LOVE DYKNOW! At this time, I do not have any dislikes. Teachers feel like they have more control while students are on their devices. They feel like they have the freedom to teach instead of micromanaging the screens because they can go back after class to view the websites that students visited during their lesson. They can communicate with students that may not ask for help in front of other students and they can also redirect students via private messages without embarrassing them in front of the entire class. "Review From Long-time Customer: Reeds Spring School District"
1. DyKnow provides our teachers with a layer of support in a classroom where all students have technology. When a transformation on a district-wide basis happened at Reeds Spring, where we implemented our 1:1 initiative, occurs teachers need confirmation that they are still the teacher in the classroom and appreciate a program like DyKnow to keep students focused and engaged in the learning tasks. 2. DyKnow support for our district has been consistently stellar! Although we know there have been some growing pains at DyKnow, the times that the system has been down seems excessive. We can weather a storm if we have a better reassurance of the timeline for when that will be solved-with few bugs to work out. I would recommend DyKnow Cloud. I would tell potential customers to do their homework: ask DyKnow for references, conduct comparisons, determine what the expectations are for teachers using it, and find out what the support and sustainability plan is from DyKnow. DyKnow is the best solution to this type of service for school districts at a price that is reasonable. Janna, thank you for your candid feedback. We're thrilled to hear that DyKnow is keeping students focused and engaged in the classroom! Our Product team's number one priority is improving DyKnow's stability, performance, and reliability. We would be happy to discuss our future plans with you at any time. "Dyknow Cloud - Classroom SAVER"
Dyknow Cloud is flexible. It allows our teachers to monitor from whichever device they find is most comfortable to them. Students are able to be corrected without being called out and allows for the faculty member to create special filters for their class. More than just web site access, but access to applications. The class can be setup to only use Microsoft Word with no access to browsers. It's a very cool and useful product. There isn't much to dislike. It would be nice to have Android and easier iOS monitoring. All students need to be monitored when they are on a device at school. This allows the faculty member to see what their students are doing without having to hover over their shoulders. Class can take place and a report can be run by the end of the day. This allows faculty members to address parents and administration with ease. Student distraction and attention. We are able to flip a classroom and let students learn at their pace. Hi Graham, thank you for taking the time to provide feedback. We're happy to hear that you're finding DyKnow useful! It is fantastic that DyKnow has helped enable a flipped classroom model at your school. 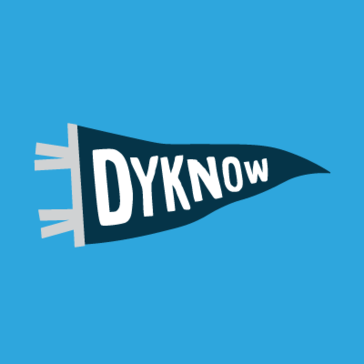 Please feel free to support [at] dyknow [dot] com to further discuss how you're using Android devices in the classroom. "Great tool and easy to use and implement!" I love that it's easy to use and implement. It runs in the background and doesn't require a lot of extra steps for me to "spot check" everyone. It gives me the freedom to control web access with ease. That it is tougher to use with iPads and tablets. USE THIS! I did some trails with other companies, do not waste your time or money, their customer service is top notch and product is way ahead of anyone else! I am able to be with students more, I don't have to be in their faces, and I can always go back and review since it tracks and give you a pie chart at the end of the sessions. Hi Megan, thank you for that positive feedback! DyKnow has full functionality on Chromebooks, PCs, and MacBooks, with limited functionality on iPads due to Apple's restrictions. We would be happy to discuss best practices for iPads with you. "DyKnow Cloud in the 1:1 Environment"
I love the ability to setup blocking plans for each of my classes. These blocking plans are so easily modified that I can create multiple plans for use in my classroom. This allows me to not worry about my students being off task. The only problems we have had are some outages of service. These problems have been addressed. If your students are currently in a 1:1 Laptop environment, this is the perfect application to keep them on task and provide analytical reports\ts on what they are doing. We have noticed that students are forced to stay on task. We have also used the analytics reports heavily to get statistical data on what sites students are visiting. Hi Drew, thank you for your feedback! It's great to hear that you are using DyKnow's Analytics features to see what sites students are visiting. Our Product team's top priority is to provide outstanding stability, performance, and reliability. We're happy to hear that you can see the benefits of these efforts. "Dyknow is a great solution to keep students on task!" I like that you can see what students are doing and take screen captures if they are not on task. Just knowing that you have the ability to do this for the most part keeps them from causing trouble and doing things that they know they shouldn't be doing. Not really anything about this product that I dislike. I recommend setting up the automatic syncing with your student information system so that all the class and student information stays up to date without any hassle. Benefits of using this include allowing teachers to take control of the technology that the students use in their classroom. They can filter things and get real time feedback from students. Tristan, thank you for the feedback! We're happy to hear that DyKnow deters students from causing trouble. Many of our customers utilize our automatic syncing option. It's great that our feature is working well for you! "Great classroom management tool for one-to-one device programs"
The ability to create classes from our school information management system. Once a teacher's account is setup, all they have to do to monitor kids in their classes is login, select the class, and click "Start Monitoring." It is extremely easy to create and implement custom blocking plans. Our teachers were up and running with DyKnow cloud very quickly. There are occasional outages with the service and you sometimes have to touch individual student computers to get the DyKnow application correctly installed on the device. The price may be steep, but the benefits of DyKnow Cloud are worth the cost. Our business is educating children. When they are too busy playing games on their computers to pay attention in class, we are not getting the job done. Being able to know and control what students are doing on their computers is essential to making our one-to-one program successful. Hi there, thank you for your feedback! It's great that your teachers were able to utilize DyKnow quickly. We're thrilled to hear that DyKnow is an essential tool in making your 1:1 program successful. Our Product team's number one priority is improving DyKnow's stability, performance, and reliability. If you have a specific event in which DyKnow is not installed on a student device, please email support [at] dyknow [dot] com. "Giving teachers the power to control technology in their classroom more efficiently "
I like that the teachers have the opportunity to only allow what they want their students to access during their class. This also gives me as an admin the opportunity to have one more line of defense when tracking down problems. I would like that more people would be able to see the class at the same time. I have multiple teachers that might want to look at the same class at the same time. Would like that administrators might be able to look in on a class during evaluations. Keeping kids on task and not goofing off during class is the biggest problem that this has solved. "Great support and easy administration - some growing pains abound..."
Administration, installation, updates and support are great - definitely an upgrade to locally installed Dyknow. Integrates well with Office365 and allows classes to be imported. There have been some growing pains such as slowdowns and inability to start classes. This was happening regularly for the first 3 months of service - it has slowed down considerably since the new year began. We've been with Dyknow for years, there may be other solutions out there, but if you decide to go elsewhere, make sure the vendor has responsive support and the ability to dedicate time to supporting your needs. Dyknow was very helpful with integration with our SIS and spent a good amount of time ensure the integration was flawless. We are monitoring student activities during class to ensure they are on task and not playing games. Teachers can quiz students on their understanding and progress. "Easy Way to Track Students"
The best part of the tool in the classroom is that my teachers are able to track every move their students make. By simply starting a monitoring session it can track every move that they can go back later and review and make adjustments. If there is anything it is the lack of multiple co-teachers within a course. Right now, you can only add one teacher to your classroom. The problem that we solved was the ability to monitor students who were using the computers, it has helped with our one to one rollout. "Great, Simple Tool for Teachers"
Teachers are able to easily monitor students, limit what they have access to and help to keep students on task. I can send my student a message to get back on task, pay attention, etc. I have used other classroom management systems that have worked better for me. I'm not able to see all of my students even though they are logged into Dyknow. Also, having to enforce a blocking system every day for every class is irritating. Having to log in to a class and log out of a class every period is also annoying. In other systems I could simply block the computer monitors while I teach or show a video. This way the students are much less distracted or tempted to get on websites or work ahead of the lesson. I would like to see a live view of my students screens and not have to wait for the update. Hi there, thank you for your feedback! I will create an enhancement request for a "default" blocking plan. We're researching ways to make the act of monitoring classes easier. Users can see a live view of what your students are doing with the "Activity Tracker" feature. "Activity Tracker" is located to the right of the student thumbnails. Please feel free to email support [at] dyknow [dot] com and we'll discuss potential improvements to DyKnow's usability. "Great balance of what we need and simple interface." Reports. They allow teachers to focus on their class and instruction and review student activity and act on behavior issues after class. monitor sessions are too short <2 hrs. It would be nice for teachers that have the same students all day to be able to perpetually monitor them all day. DyKnow does what they advertise very well. They know what they have and they strive to make it great. There isn't any bloat in features which means what they promise will work. Shifting inappropriate online activity to a behavior issue, not a technology issue. I love the opportunity to be able to see, at a glance, what all of my students are doing on their computers. This tool makes it extremely easy to monitor and be sure they are using the technology appropriately. Even better, I can easily send kids' messages and ideas which adds an entire dimension to my teaching. I don't like that when I go to send a message, the default position is to "discipline" and block the computer usage. I like having the option, but I've done it by accident. I have easily solved the problem of students using computers inappropriately. My teaching has improved because I can more quickly and easily engage with their work on the computer which gives them better access to me. Hi there, thank you for your feedback! We're glad to see that DyKnow helped solve the problem of students using computers inappropriately. We will create an enhancement request to have the default message to students be a "positive" one! "MSD Warren School success with Dyknow"
Ease of use, teacher are able to just right in. We currently use an additional product called SchoolVue in our CAD and robotics classes that can not make use of Dyknow due to some features that it currently lacks. This product was the easiest piece of software we have ever implemented. The training involved can easily be done in less than an hour. We also found that the adoption rate from teachers was faster than we expected. Monitoring and keeping student on task with all of the distractions on the internet has been the biggest problem we have been able to solve. Also being able to give the teachers to present parents with information on what their children are doing in class. Thank you for taking time to provide feedback! We appreciate it and are glad to hear you had an easy implementation. :) I’d love to learn more about your SchoolVue limitation. Please feel free to email support [at] dyknow [dot] com and we'll discuss potential solutions. We like and use everything in DyKnow Monitoring. We like to display the individual computers when the students want to share discoveries. We have many individual blocking plans for students that require something specific. These are the kids that are not great "self-regulators." We recently added Minecraft and the kids can create their own Worlds so admins. can't control that. DyKnow saved the day. If the teachers don't want them in Minecraft they block it. The reports are amazing for review with the kids. They occasionally all of the students don't all connect. Highly recommend for 1:1 in Middle School! In a school setting we are solving problems of connecting separate computers to interactive white boards. by sharing screens using DyKnow. We solved the problem of the computer being a distraction with blocking plans. We saved Minecraft by blocking it at inappropriate times. We can allow the computers for testing without concern of the kids referencing the Internet. We demonstrate on task time using reports. "Awesome Product for Monitoring Student Macbooks"
I love the fact that it works across multiple IP addresses as we have multiple wifi networks that our students connect to. I love the monitoring aspect and how thorough it is and the report analytics. I still have had a hard time figuring out what they want when they ask for me to upload our student logs. Our teachers use it to monitor when they are in class but we haven't set logs all year. We needed to have a better monitoring solution in place for our students to stay on task while doing school work. We have seen an increased engagement level with our students who know we are watching them. Hi there, thank you for your candid feedback! We're thrilled that you've seen an increase in student engagement after implementing DyKnow. Logs simply help our tech support team diagnose potential issues. Please contact support [at] dyknow [dot] com and we'd be happy to walk you through the steps. Using DyKnow makes helping kids a snap! It's helpful when we're trying to teach students to manage their time during class, and hold them accountable for their choices. It gets frustrating when teachers log in and find that students who are currently online, are missing from the class list. DyKnow is a great tool when working with students - I see it being useful anywhere in K-12 that students are in a one-to-one situation. We are using DyKnow to monitor students during class. The kids know they're being watched, and it is helping them learn how to self-manage during class when other websites are tempting them. It helps with accountability as well. Hi there, thank you for providing that feedback! We love to hear that DyKnow is helping keep your students accountable for their internet usage. :) If you encounter a specific event in which a teacher cannot see a student, please contact us at support [at] dyknow [dot] com. The program easily integrates with our Student Data System, and allows teachers to monitor and interact with students. We do not have to run a local server like the previous version. I think that once staff get more comfortable with the system, they will use it more. The previous local server solution allowed better control of student machines. The current client can pop up multiple taskbar buttons, which is disturbing to some students. Update speed isn't as fast as the previous version, but may be due to connection speed. I'm not familiar with competing solutions, but this one integrates well with Skyward and other OneRoster compliant systems. Hi there, thank you for your feedback! DyKnow Cloud shouldn't initiate multiple task bar buttons. Can you please contact support [at] dyknow [dot] com? We will help troubleshoot that unexpected behavior. "An amazing tools for Teachers"
My teachers are loving Dyknow at all of my campuses! Teachers love how easy it is to view their students online, block, send messages and get all of their students attention in a matter of seconds! We wanted to give teachers classroom management tools for their class set of chromebooks. Teachers are loving that they can black list or whitelist domains fast, they can look at student history and send messages in a flash. Thank you for your feedback! So glad to hear that your teachers love DyKnow. If your teachers encounter a specific event in which DyKnow doesn't automatically run, please email support [at] dyknow [dot] com and we'd be happy to look into it! We love the analytics, and ability to give administrators more global views for their school. Allow Only plans are extremely popular with our teachers, especially when giving assessments or trying to minimize distractions for students. We wish there was a way to set automatic start times based on class times. A way to make segmented blocking (for certain students) easier. Some teachers want the ability to drag and sort student thumbnails to keep certain students at the top of the live view screen. We completed a trial with real teachers to ensure it would meet our needs. This was extremely beneficial as it helped district staff become familiar with the tool before sharing with others. We've had teachers say they feel more freedom to move around the room, knowing DyKnow will catch student behavior they can address at the end of class individually. "Great application for the classroom"
Dyknow is a great product that our teachers use to help maintain student focus during class. Teachers love being able to monitor students online activity, assuring that the students are staying on task during class. In most cases, there is nothing to dislike about dyknow, on rare occasions student computers do not connect to DyKnow. Dyknow Cloud is a great tool to have. Dyknow allows teachers to monitor students computer activity. The main benefit of DyKnow if that our teachers can now monitor students computers from their desk. This keeps students on task while working on their computers. Thank you for this great feedback! We're happy to hear that teachers love using DyKnow. If you have a specific event in which a student computer does not connect to DyKnow, please email support [at] dyknow [dot] com. "Easy to use with great customer service!" The folks at DyKnow are fantastic at helping trouble shoot any problems. I've been so impressed by the customer service we've received. The only thing that I wish we could change would be the ability for the administrators or tech team to monitor any student at any time in real time. Sometimes we have more teachers than 2 on a team, and to monitor we need to take away the ability from one teacher. I don't have any suggestions of how to do it, but it would be great for our substitute teachers to be able to monitor a class. After only 2 months of using DyKnow, we've found students are making better use of their time in the classroom. The greater accountability has led to better choices by the students. Thank you for your feedback! We appreciate your kind words about DyKnow's Customer Service team. ☺️It's fantastic that students are making better use of their classroom time with DyKnow. I will certainly record your enhancement requests about allowing a tech team to monitor a student at any time. Feel free to email support [at] dyknow [dot] com and we'll discuss potential solutions for substitute teachers monitoring classes. "Wonderful promise that falls short in practice"
While all the features of DyKnow sounded great, tech issues ruled the day. The wireless signal was bogged down by the surveillance. Students could not shut down their computers if I had them locked into a particular program. Often, only half my class would connect to my dashboard, leaving me punishing those students who had not found a workaround. Be aware of limitations, but this is a hard working company and a great product idea! With our school's move to 1:1 devices for students, DyKnow offered us the assurance that we teachers could assist students in staying focused and on task. Thanks for taking the time to leave your feedback! We are very proud that in 14 years of business, we have not had a single customer report any impact on their wireless network performance, due to the unique design of our architecture. We would certainly be interested to see a report from your WAN provider to dig deeper into this. If student devices are locked with an "Attention" message, they would need to be released before students could access the ability to shut down their devices. This is by design so that students cannot access their device while they are under a locked message. As far as connectivity, we would love to work with you specifically so that we could best troubleshoot what exactly might have prevented students from connecting to DyKnow. There are a few common occurrences that are quickly and easily resolved. Please reach out to support [at] dyknow [dot] com to share the names of students who aren't monitored, as well as the dates and times, and we would be happy to investigate! "Classroom management software is a must have for all 1-to-1 schools"
Our teachers love the ability to block students after reviewing the classroom analytics to see what was making students lose focus. There is not an easy way to integrate SIS data. If there was some sort of connector from our SIS to DyKnow Cloud, we would be much more likely to recommend DyKnow to other schools. Make sure to have your database person and SIS admin nearby during setup. Students were off-task and teachers needed a way to monitor and block them. Thank you for your feedback! We're currently exploring ways to improve our data process. I'd love to hear more about your data experience. Please contact us at support [at] dyknow [dot] com and we'll discuss potential solutions. "Be in the Know w/ DyKnow"
teachers received frequent updated thumbnails of all student screens. This helps keep students on task and enables teachers to see the good, bad, and really cool! Our hardest part is migrating our SIS w/ DyKnow. We don't have a way to FTP electronically set this up and often the files need to be built by hand. I like the ease-of-use with which we can create blocking and whitelist plans. It's great to be able to message students individually during a session. I can't batch load groups, which is a pain for me as I would like to monitor many students during non-class times. It's also been a bit glitchy. It helps keep students on track. The new cloud-based format is quicker and easier to use, and I think we have more teachers using it. Thank you for your feedback! We're glad to hear that our blocking plans are easy to use. DyKnow is designed to monitor traditional sized classes rather than large amounts of students. Please feel free to contact support [at] dyknow [dot] com to discuss specific glitchy behavior. The analytics allows teachers to review student behavior any time anywhere. Teachers forget to release students. Being able to set a release time school wide from the admin side would be amazing. Classroom management is a business. Parents entrust us with their children, expecting full well that they are on task and learning in the classroom. Having a classroom device makes that job a bit more challenging. DyKnow helps us to do our jobs better. Ron - Thank you for your feedback! We're happy to hear DyKnow is making your students more productive. Please contact support@dyknow.com if you have an issue with a student screen not appearing. "DyKnow review from IT perspective"
I love how easy it is to set up classes. The search feature could be improved, thanks. Ask for a free trial and you will be sure to see the benefits of DyKnow yourself. We have a distance learning class where the teacher lives in a different state, but is able to see all the work her students are doing on their classroom computers, thanks to DyKnow Cloud. Hi there, thank you for your feedback! We're glad you find it easy to set up classes. :) Please feel free to email support [at] dyknow [dot] com and we'll discuss ways we can improve the search feature. The best quality of DyKnow is that the teachers are in control of what the student can get to within their own classroom. While very expensive, well worth the cost. Hi there, thank you for your feedback! Our Product team's top priority is to provide outstanding stability, performance, and reliability. We're happy to hear that teachers are in control of what students can access in their classrooms! "DyKnow Cloud in the Classroom"
DyKnow allows us to completely control our students' computer activity. This was essential to our one to one program. There is nothing I dislike. I would like to be able to distribute assignments/files via DyKnow. I would also like to be able to restart computers remotely. Controlling distractions in the classroom assure students remain on task and make the most of technology. Hi there, thank you for sharing your feedback! We're happy to hear that DyKnow is helping your students make the most of your technology resources. I will record your suggestions as enhancement requests. I like DyKnow best due to the fact that the teacher's have control over individual classes and are able to turn on and off their own Blackout settings. It could use a few filters to group students more tightly. Since we're a K-12 public school, it allows us the ability to keep students on task. Thank you for your feedback! We're happy to hear DyKnow is helping you keep students on task. Please email support [at] dyknow [dot] com to provide additional feedback about how we could better group students. The ease of use and that it does not time out. Also I like the analytics so the teachers are not tied down to their screen. Our teachers are able to be sure that their students are staying on task. Hi there, thank you for your feedback. It's great to hear that DyKnow is easy to use! Our Product team's top priority is to provide outstanding stability, performance, and reliability. Provides teachers a quick, easy tool for helping manage the digital classroom. Hi there, thank you for taking time to review DyKnow! It is important to monitor students while they are on Chromebooks. It is also great that there is a history of where they have been online. Sometimes there are problems with students being monitored. Hi Kimberly, thank you for your feedback! Please feel free to contact support [at] dyknow [dot] com if you have trouble monitoring a specific student. "What would we do without Dyknow?" I love that me teachers can now give online test to their students without the worry of as much cheating and being off task. Students are constantly finding ways around it. A better understanding of how often students are off task. "Dyknow is a very good tool for teachers in the classroom to monitor their students." It really easy to use and you can keep your students on task. The front end uploads are a little picky. We our a schools system so its used in education for 5th and 9th graders. Hi Elbert, thank you for reaching out! We're happy to hear that DyKnow is easy to use. Please feel free to contact support [at] dyknow [dot] com to discuss how we could improve our front end. Ease of use for end users vs older versions of Dyknow. Biggest issue I had was the lack of campus specific blackout settings, but that limitation has been removed. "Dyknow, Know what your students are doing!" I can communicate with my students even when they are away from me. It is easy to check fro student understanding even when I am at a conference. Sometimes students are connected, but I cannot see them. If you are looking to monitor student Chrome devices while teaching, it is a great tool. We have been able to help our students make better choices about their device usage. Thank you for your feedback! We're happy to hear that DyKnow is helping students make better choices about their device usage. If you have a specific event in which you cannot see a student, please contact support [at] dyknow [dot] com. I enjoy pulling analytics on students on where they ave been in class. There wasn't a whole lot we disliked. We are happy with our new product. We are able to better see what students are doing and when. We enjoy the ability to be able to have different blocking plans for different students, and offer students incentives for good classroom "technology" behavior. Hi there, thank you for you candid feedback! We're happy to provide a customized learning environment for students with our "Segmented Blocking Plans" feature. Hi Boyd, thank you for your feedback. Our Product team's number one priority is improving DyKnow's stability, performance, and reliability. Please contact support [at] dyknow [dot] com if you're experiencing a specific issue. "Great tool to keep students on track"
Watching what students work on, even thought they know that I can see what they are doing, I catch them on sites they should not be on. We're glad to help you solve the challenge of keeping students on track! Thank you for providing that feedback. :) If you experience a specific issue with DyKnow not working, please use the in product chat feature or email support [at] dyknow [dot] com to contact us. I like to be able to block websites and send private messages. kids who try to use hotspots. have to make them restart so I can get them back on. Hi there, thank you for your candid feedback! You can adjust your Blackout Settings to monitor students even if they are on hotspots. Please contact support [at] dyknow [dot] com if you'd like help changing your settings. "We havn't had any issues, everyone is great." We are using it as a teaching tool. Hi there, thank you for your feedback! With our "Co-Teaching" feature, two teachers can monitor a class at a time. Please feel free to contact support [at] dyknow [dot] com to discuss other ways you'd like to have multiple teachers monitor students. At this time, there is nothing I don't like. * We monitor all Dyknow reviews to prevent fraudulent reviews and keep review quality high. We do not post reviews by company employees or direct competitors. Validated reviews require the user to submit a screenshot of the product containing their user ID, in order to verify a user is an actual user of the product. Hi there! Are you looking to implement a solution like Dyknow?